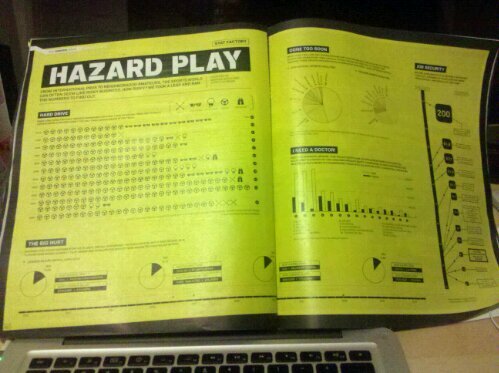 I just got my espn magazine and there’s just something about sports and stats that just go hand-in-hand. Bad pictures from my phone but still beaufitful designs. 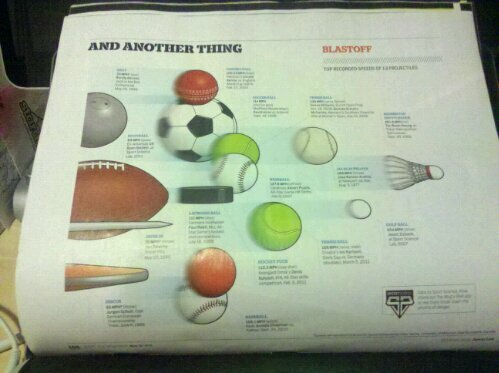 UPDATE: Just downloaded the ESPN magazine app on my iPad and noticed that the layout is different. 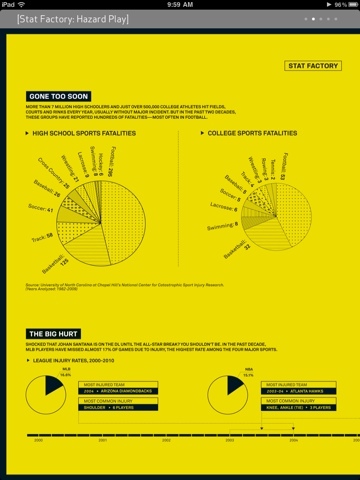 Gives a little more insight on how ESPN produces their publications; print and digital. 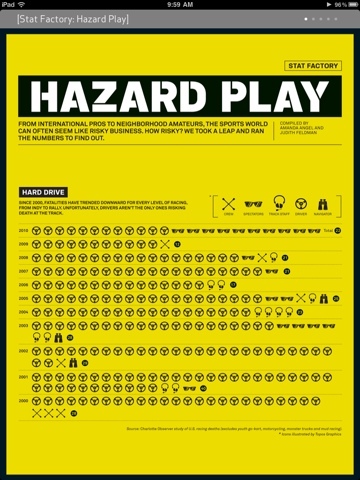 Here’s how “Hazard Play” looks from my iPad. P.S. 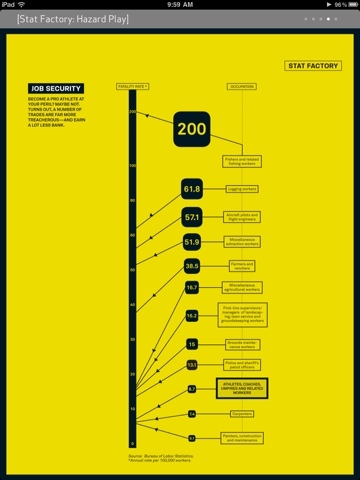 Ever since I posted this title, I keep on hearing in my head, Tupac and Dr. Dre’s “California Love” in my head, but only switching it out with “Inforgraphic Love.” The rest of the lyrics I don’t know yet.